Most likely Frances posing on Senior Row and a theater image on the right. When I first flipped through Passmore’s scrapbook, it was physically right in front of me. The pages were literally at my fingertips and I could feel the texture of the pages and pictures. 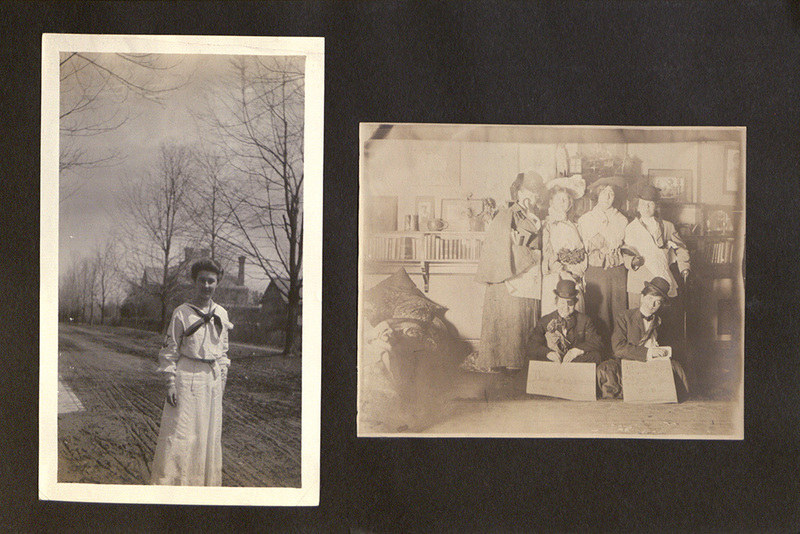 As a current Bryn Mawr student looking at an alumni’s visual narrative from 104 years ago there was a certain emotional connection created. Connecting with historical artifacts is really important as it fosters a greater understanding of the material. Viewing the scrapbook in person contrasted greatly when looking at the digitized version of the scrapbook. Whereas walking into a Special Collections reading room creates the academic space in which to examine historical items, viewing things through screens is entirely different. The Internet has of course made a plethora of historical documents, books, images, etc available to the whole world and is a great benefit to academia. But, screens and the internet is also incredibly distracting and does not necessarily allow one’s mind to go to the same intellectual mindset as traveling to a collection does. I noticed this phenomenon when viewing Passmore’s scrapbook online because other websites distracted me and this was not the case at all when in the Special Collection room. Digitized collections are a great addition to the global academic realm but one must proceed with a self-created mindset similar to the one that a reading room fosters. May Day: a timeless Bryn Mawr tradition. 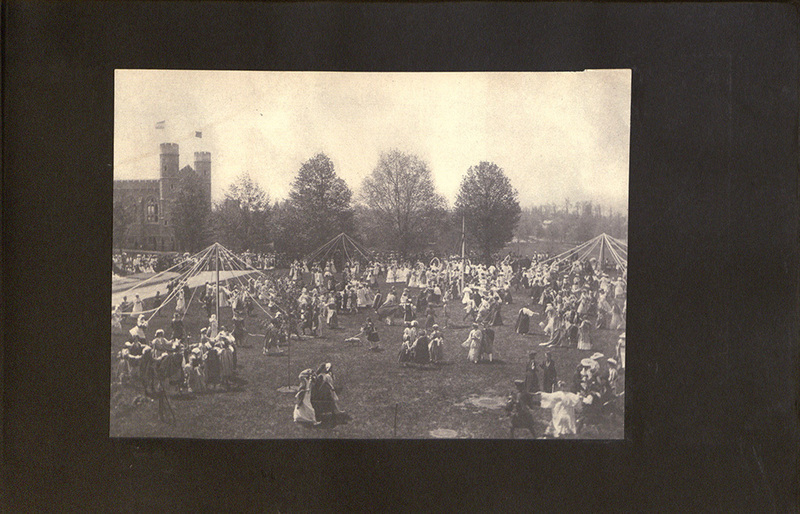 The May Pole Dance still looks the same today as it does from the 1900's, women still wear all white and it held on Merion Green.